Always replace brake shoes in axle sets. 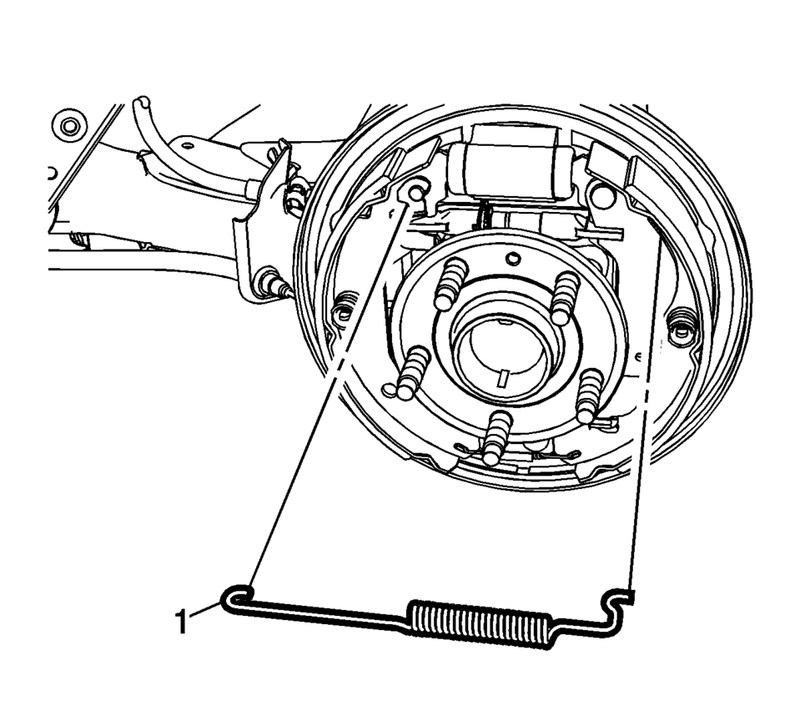 Remove the brake shoe hold down spring and cup assemblies (1) by compressing the spring and rotating the assembly 1/4 turn. Remove the hold down spring and cup assembly pins (1). 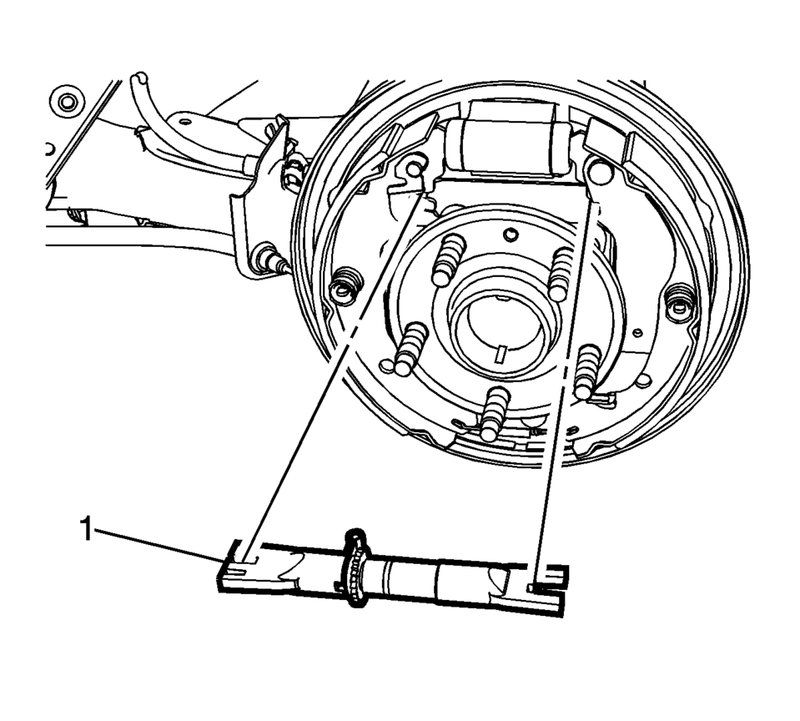 Spread the top of the brake shoe assembly (1) and lift the assembly over the wheel hub. Release the park brake actuator lever from the park brake cable eyelet. 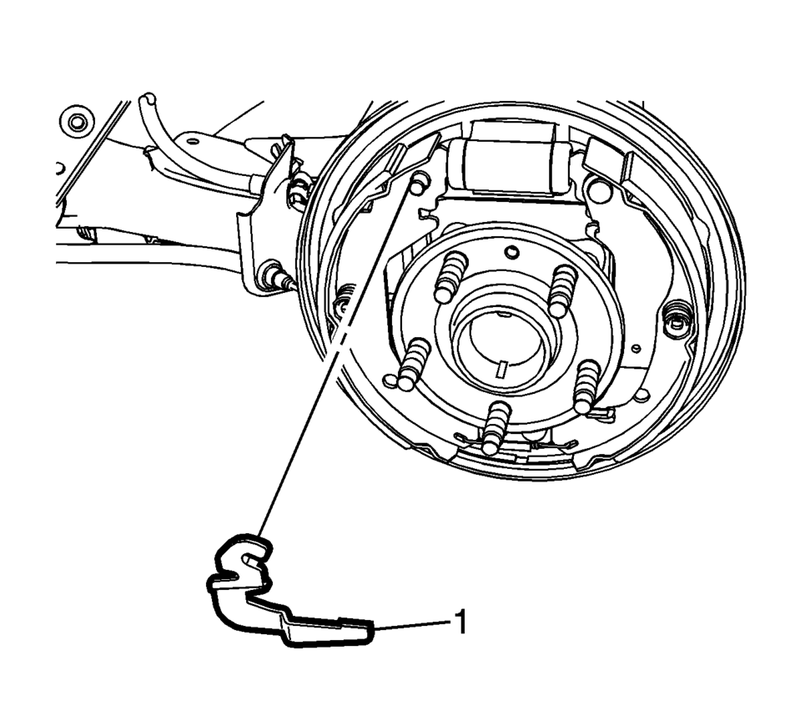 Remove the lower brake shoe return spring (1). 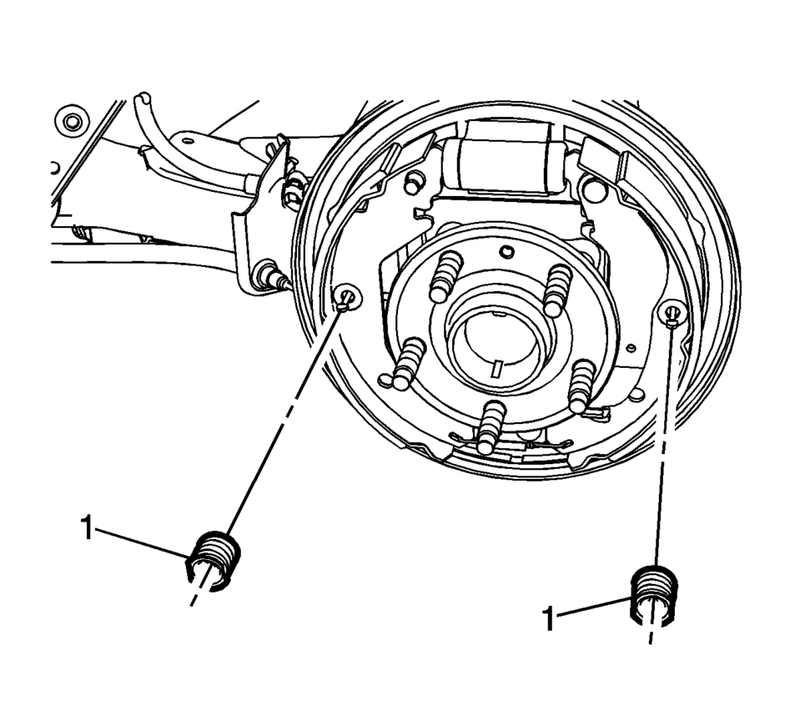 Inspect the drum brake hardware and replace any components, as necessary. 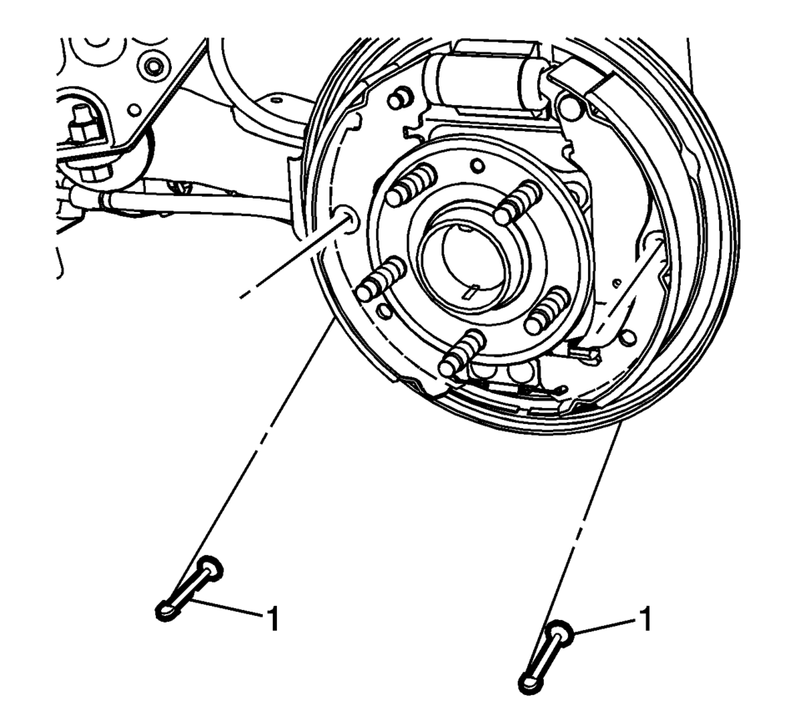 Refer to Drum Brake Hardware Inspection. 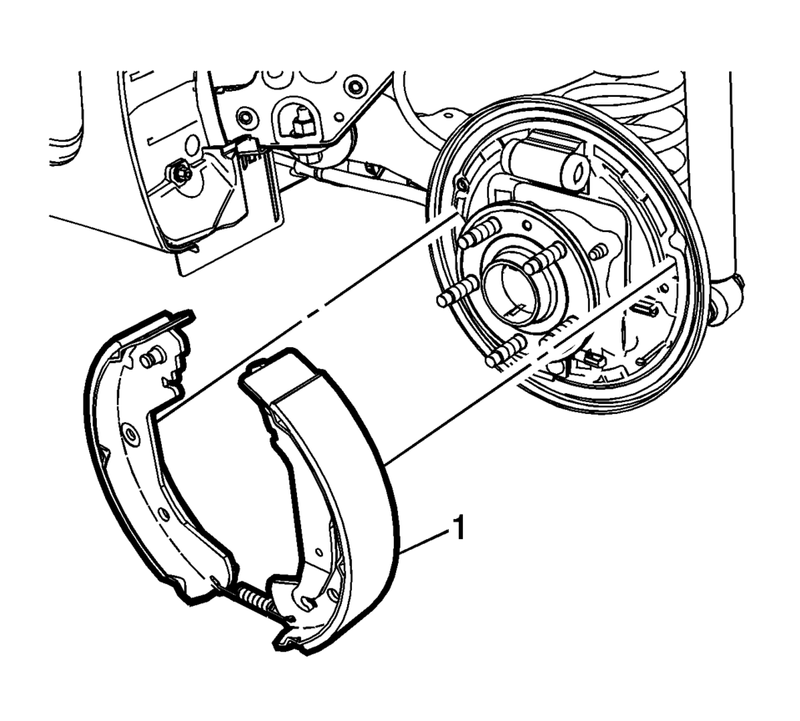 Install the lower brake shoe return spring (1). Install the park brake actuator lever to the park brake cable eyelet. 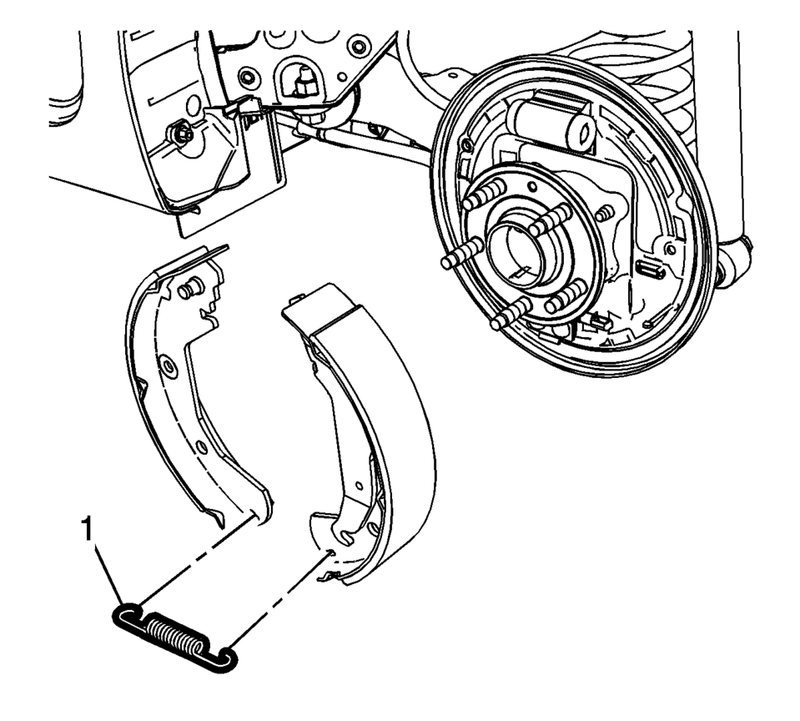 Position the brake shoe assembly to the drum brake backing plate. Install the hold down spring and cup assembly pins (1). Install the brake shoe hold down spring and cup assemblies (1) by compressing the spring and rotating the assembly 1/4 turn.